Winter is coming…with snow and ice and frigid temperatures. Actually, it’s already here and we’re inside watching John Snow with bated breath in Game of Thrones. For some paddlers, this is a time to hang up the shorts and Chacos in exchange for warmer indoor activities some involving whiskey and Cards Against Humanity. For others, winter adds just another unique obstacle and set of variables to the experience. 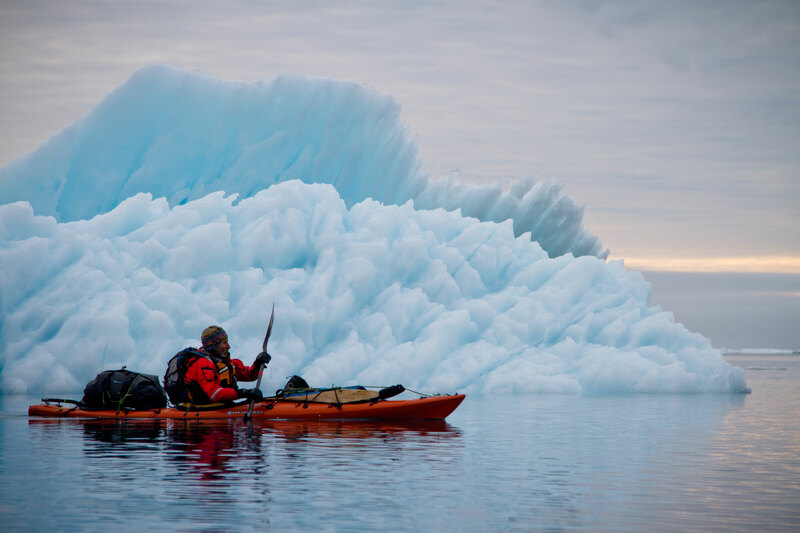 When paddling in the winter, there are lots of additional precautions and preparations that should be taken. The winter is a beautiful time of year to explore your favorite river or creek, when the landscape may be covered in a glorious blanket of white with intricate icicles and nature’s favorite patterns frozen in time. So, bundle up and get back out there! The following tips can help ensure you’ve got the right gear and mindset to conquer the cold this season. 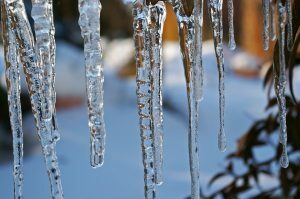 It’s not necessarily that you’re more likely to swim while paddling during the frosty season, unless some holiday pounds are weighing you down, it’s the fact that a swim in frigid temperatures can bring heavier consequences than a swim during the summer. You need to be confident in your skills before hitting the river. 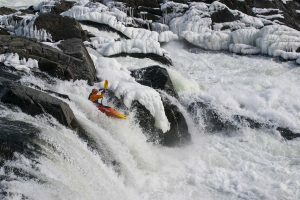 Taking an indoor roll clinic if you’re a kayaker, or refreshing yourself on whitewater swim techniques may come through in the clutch. No one wants to drink cold beer out of a weird water shoe when it’s 30 degrees outside…your pride has suffered enough. Hypothermia can set in more quickly than you’d think, which can affect and slow your decision making. Avoiding a long swim in extreme temperatures is always a good place to start. We all know things happen, so just be up to snuff on your skill sets before you venture out. Who doesn’t need an excuse to buy new gear?!? With colder temperatures, the right gear is essential. From west suits to drysuits, dry tops and pants, the combinations of winter paddling gear can be as specific and unique as you are my friend! 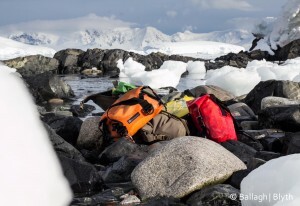 Our pals over at REI have a cold water gear guide that’s worth a look. Like most of us have experienced, the trick here is layering what works best for you so that you’re comfortable enough to move freely as well as being insulated in case of a swim or splash. H2O is approximately 25 times more efficient at drawing heat away from your body than air so you need protection to stay toasty warm. There are 4 main mechanisms of heat loss working against your body in water vs air which explains the dire need to drop all your Christmas money from your grandma on new gear for winter. Remember the days in Cub Scouts and the Brownies, you can never be too prepared. This is also true with winter paddling. Make sure you bring your besties along with you who are around your level of experience or higher. Let your friends sitting home watching tv know where you guys are going, when you’ll be back, contact and emergency information just in case. It’s easy to run out the door in excitement, but a few extra seconds could save your life bud, not to be too dramatic. Eat a good hearty breakfast so you have energy and bring snacks high in protein for the trip in your drybag. Honey Stinger makes delicious products to fuel your fire along the way. Check the weather, put warm dry clothes in your car for the takeout, and always wear your lifejacket…duh. Don’t let the snow and ice keep your paddling dreams inside on the Wii. Take a few simple steps, get the right gear, and you’ll be ready for anything mother nature may throw your way. Except for maybe poisonous snakes, that’s another blog for another day. Stay warm and safe out there!